What Lies Ahead in 2019? Explore The Year of the Portal with The Collective! Hello! We are The Collective! The Year of the Portal! 2019 has arrived in all it's portal glory! And being true to form, the year opened a powerful Eclipse Portal for you only 5 days in! This year isn't wasting any time summoning it's power for you! As you might have guessed by our name for the year, 2019 is loaded with Portals! Major Portals, Minor Portals and even Personal Portals! Portals that you will acknowledge (they have names like the Eclipse Portal) and Portals that are nameless and you won't acknowledge. "A fabulous and informative webinar from Beautiful Amy and The Collective. The sages made me laugh out loud, fun indeed, and I got a great night's sleep to boot! Thank you for your generosity and joyful spirit. Life is always brighter when Amy's on the scene." In our very exciting call we share with you all about Portals and how you can recognize when you are under the effect of a Portal. There are some definite signs. You want to know when there is a Portal happening because they contain special power that you can apply to your life creations. We are really excited about sharing this with you. Discover what a Portal is and about parallel dimensions. You will learn about accessing alternate dimensions (and alternate versions of your reality) through Portals, you can even meet your many alternate (also called parallel) selves. Find out where do Portals come from, what happens to the Energy when it enters a Portal and how you can benefit from tapping into the Energy and Power of the 2019 Portals! "I really enjoyed the session and i have learned so much today. Amazing energies, thank you so much! I am so grateful I stayed up its past 3 am and I have soooo much energy :))))) "
We have also created a magical Logo for 2019, The Year of the Portal. This Logo is very complex energetically and it represents movement through a Portal. The 2019 Logo contains the energy of a special Portal. The Logo Portal is an Endless Portal and on our Special Call we will show you the various ways you can tap into it's energy to support you in your creating in Year 2019. "I just wanted to thank you and the collective for the amazing call! The explanation on the portals were really helpful. I have been seeing portals for long time (mostly in rectangular shapes like a window) and I didn’t know why or what to do with that. Also, is so much fun stare at the logo. My eyes went to the 2. And then the color green(lime) appeared and moved around it." We take a look into "What Lies Ahead in 2019" and explore what things to do to ensure a very successful year for yourself! So be sure to download and listen to our call. You will be able to tell your friends that YOU have seen the future! Please put your name in the lovely box below with your best email so we can send the recording! Learn What Lies Ahead in 2019! Discover your Portals and how to tap into their magical Energy for your Best Year! Welcome to Our Blog & Website! Discover What Lies Ahead in 2019 - "The Year of The Portal" with the Collective! © Amy Flynn and The Collective, All rights reserved. Plus an Easy Process to Inner Love and Joy! We are here today to bring you a message about love. Self Love. It is so important to love yourself. No matter what you see happening in your life or around you. Let it be ok with you and allow yourself to love yourself. Too many of you don't love yourselves, it is truly sad. You are so beautiful and magnificent, and you are not seeing this. You are such a gift to yourself, the only thing is most of you don't realize this or embrace this. You contain the wisdom that creates worlds within you and yet you don't honor that. You seek information or answers from others outside of yourself .. why? Because you don't love yourself enough. You love others and allow them to be your light, and not yourself. You've got it backwards, the light is within you. 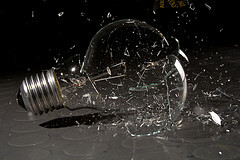 ALL the light that you need is within you and is shining, but you aren't looking at or into it. It is time you did. You must practice bringing your attention back into yourself. And by this we do not mean your mind. We mean your body and the center of you. Imagine a vast space existing in your center, your core and imagine it is infinite. Like the outer space that you see when you look upward at the sky, imagine the same within you. NO limit, no boundaries, infinite and containing all. It is there. And within this space are answers to all the questions you can ask. But you must align yourself with this inner space. How? By loving yourself. The vibration of this inner space is that of Love and Joy. When you are aligned with it and allowing it you feel as if a young child is enthusiastically and joyfully jumping about inside of your center. You feel the joy of a child inside you, the pure love of a child, the enthusiasm of a child and the appreciation of all things and all beings like a small child appreciates. This is you. You are that vibration, that energy. You've just covered it up with a grumpy old overcoat called human being all grown up named (your name). You aren't the grumpy overcoat. You are the radiant being inside you. That being is aligned with all that is and knows the answers to any question you ask. It knows the right path to take in difficult timesand it knows the choices that are for your highest good. Get to know this radiant infinite child being inside of you. Love yourself. A good practice to align with this inner being is to be in the energy and vibration of joy. Gratitude .. real gratitude, not just merely giving lip service and saying the words .. but real gratitude as a feeling in your heart and belly for what and who is in your life now will lead you to a feeling of deep inner joy. That type of gratitude is called Profound gratitude because it is. You will also feel a deep expansion and opening in your heart center - you will feel a warmth glowing there. Focus on that feeling and consciously expand upon it. Get into it, see the color of it... enjoy it. There is that joy again! There is no possibility of not feeling joy when you express profound gratitude. IF you are expressing gratitude and NOT feeling joy, you are expressing superficial gratitude and you need to go back after a pause and really focus that gratitude. Profound gratitude felt for one or two things is worth infinitely more than superficial gratitude for a list of things. Try this.. see what you feel. When you feel your inner joy and love expanding in your heart center, focus inward...focus inside on you. Allow that warm love and boundless joy to shine back into you. This is how you develop your self love muscle. You are giving to yourself. Just practicing superficial self love will not do a thing. It won't stick. It won't elevate your vibration or heal you. Deep profound self love will. We invite you to practice this every day , every morning before you begin your day or at night before you go to sleep, whichever is most suited to you You can also add some self love/profound gratitude time during the middle of your day. You can not do too much! © Amy Flynn, All rights reserved. For reprint permission, please email. Feel free to excerpt as long as you link to the original post. What Lies Ahead in 2018: The Collective Look at the Exciting "Year of Springing Forth"! The Year of Springing Forth! It's 2018 and with the arrival of this year comes a new and exciting Energy! 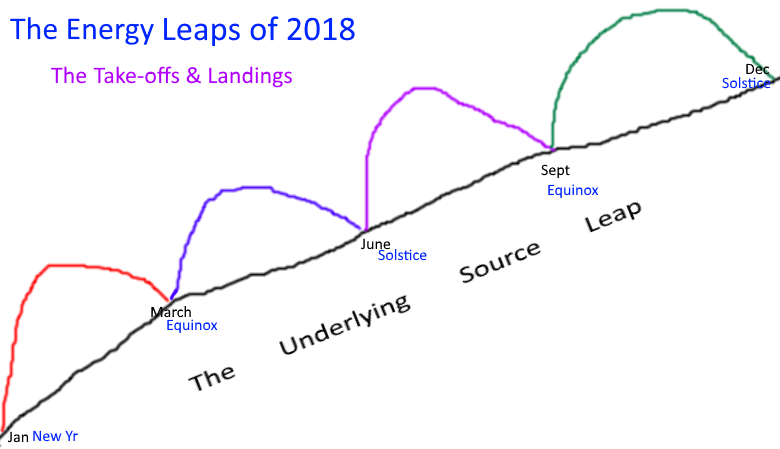 2018 is a special year: it's an 11 year, a Master Number vibration of a 2 year. This adds power to the Energy of the year and it promises to bring us lots of exciting opportunities! As if to announce how powerful and special it is, the year launched with the year's largest Super Moon on January 1-2. In fact, this first month of 2018 has TWO Super Moons, the only ones of 2018! The first month of 2018 also brings a Lunar Eclipse. The "Year of Springing Forth" is off to a rollicking great start! The energy of 2018 is optimistic and uplifting and has a much lighter feeling vibration than last year's energy. In this special call the always joyful and playful Collective take a deep look into the energy of this year to reveal what we can expect as we move through 2018. In the recording of "What Lies Ahead: The Energy of 2018" The Collective share what the name "The Year of Springing Forth" reveals about the energy of the year. You'll find out about the "energy leaps" happening during 2018 and how you have huge potential to expand and "use the energy of this coming year" to experience an awesome, exciting year filled with your desires manifesting! 2018 is bringing huge upgrades and evolutionary growth and expansion! This year offers infinite opportunities for personal growth, birthing new manifestations and expressing your purpose in the world. The Collective have transmitted a beautiful and very powerful Living Energetic Logo for 2018! In their call The Collective shared the energy secrets in the powerful Logo and how to use them to receive a boost of inspiration, creative energy, confidence, joy and more! The Logo is programmable! (For those who are new, the Living Energy Logos are more about the transmission of energy and activations than looking like a typical Logo. This Logo does a lot! As a special treat, The Collective take you on a delicious energy and Light infused Altered State Journey to close the call! You will be left feeling invincible, expanded, powerful and inspired! Add your email below to journey with The Collective to discover "What Lies Ahead;" in 2018, The Year of Springing Forth! 2017: What Lies Ahead? The Collective Share About the Energy of 2017 and What the Year Will Bring! and What We Will See in 2017! Energy of 2017 so you can Thrive! The Collective predict for 2017! It's 2017! With the arrival of the New Year comes a very different Energy than that of last year. 2016 closed out a 9-year cosmic cycle and 2017 begins a new 9-year cycle. New upgraded Energy frequencies are available in 2017 creating new opportunities for us. We have access to new dimensions and faster "manifestation". Just watch out for those potholes! The Collective have named 2017 "The Year of the Exclamation Point!" While it seems like they are having fun, The Collective insist this is the perfect name for coming year! You'll find out why it's so perfect when you listen to the recording. They have transmitted the 2017 Energetic Logo (above) carrying the Energy of 2017. (Can you feel it?) In the call recording The Collective speak extensively about the power of the 2017 Logo which opens dimensional doorways. There are many layers of Energy and power to this Logo - learn how to use it and ride it's energy to an "Upgraded You"! In this special recording The Collective share all about 2017, it's upgraded energy, what that means for you and the world and what you can expect in the coming year. They reveal exactly how you must BE with year ahead to ensure you experience a year of Abundance, Joy, Prosperity, Health, Well-being, Empowered Relationships; all punctuated with an Exclamation Point! They will also teach you exactly how to use the Energetic Logo to tune your frequency and access new dimensions, including "future" and parallel you's. Add your email in the box below to receive the recording! Get the insight and roadmap to ensure an AWESOME year ahead for you! useful practical wisdom as The Collective give you a look ahead into 2017.
powerful Special Meditative Energy Process! The Collective Take a Look at the Energy of 2017 and Share How You Can Make 2017 Your BEST YEAR EVER! The Collective have named 2017 "The Year of the Exclamation Point"... find out why! You'll also receive email updates from me with free goodies and inspirational, joyful and fun energy! We respect your privacy and never share your email! We HATE SPAM too! 2016: The Year of NEW-Building and Illumination — What Lies Ahead in 2016? We have a VERY SPECIAL GIFT for you to thrive in 2016! "The Year of NEW-Building and Illumination"! At the start of the New Year, The Collective gave a 1 hour, 40 minute special talk (energized with very high frequencies and activations!) on What Lies Ahead in the year 2016! We look at the Energy of the Year 2016 (which is a very interesting Energy!) and reveal to how YOU can flow in resonance with this Energy so you THRIVE in 2016! We have also created a beautiful "Energy Emitting Logo" for you to use as a vibrational tool (gaze at this Logo with soft focus). 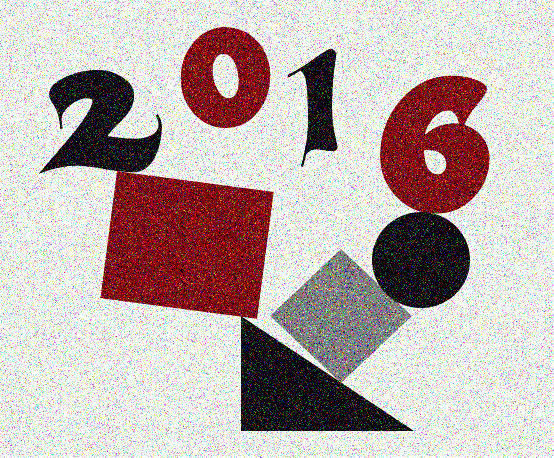 This special Logo also contains a message for you in 2016 that you will be reminded of each time you look at it! In our special 2016 talk you will learn about the "Good Feeling Radio Station" and how to tune into it! Listen to our special talk recording and you will feel uplifted and ALL READY to thrive and succeed in 2016! © Amy Flynn and The Collective 2010-2016 all rights reserved. Welcome to 2014! The Collective Share About the Energy of the New Year - Free Download! We have launched into a brand new year in your calendar, the year 2014. Of course for us, it is not so much a year as it is a step in a never ending unfolding energy Journey. This is a particularly interesting year following all the influx of new Light frequencies and high dimensional frequencies in 2013. In 2013 many found the unchangeable and sure things in their worlds, changed. If 2013 placed you onto the giant rollercoaster, 2014 is going to fire up the cars on the rails. 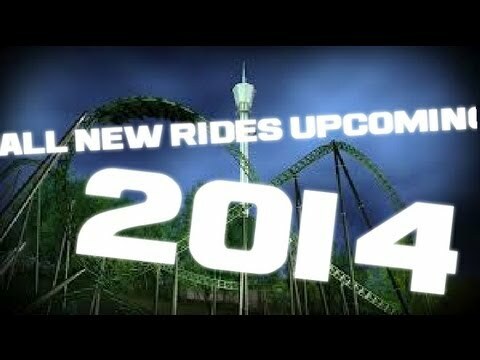 The ride begins to pick up speed in 2014! What will that look and feel like for you? For the collective consciousness? What ride are you on? That will depend on the energy that you are holding as your dominant energy and how you perceive and interact with experiences as they unfold. You can react in fear to the rollercoaster ride or you can relax and enjoy your stomach flopping as scenes whiz by. It will be an adventure either way you choose. 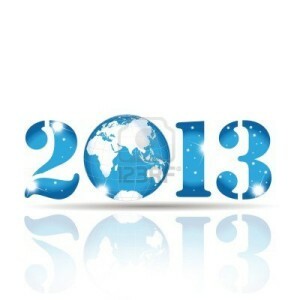 In this powerful mp3 we look at some of the many ways the energy of 2014 may manifest in your worlds. We will show you how you can create powerfully with this energy. We will take you into the experience of the energy and power that you have access to in 2014 (with a yummy guided meditation!) You will be able to feel and tune to the energy of this coming year. But most of all we are going to have fun! "Wow Amy, This call was amazing & so are you!!! The Collective is amazing & I 'LOVE' their enthusiasm!!!" "Bless you for that powerful call last night. I found the information to be very well explained and very practical. I did the exercise before getting out of bed and then wagged my tail--I love it!" "The collective was so clear and really honed in to what I need to do to upgrade and sustain my feel good, high vibration. I will combine my wagging with my fist pump of YES,YES, YES and THANK YOUs." "... last night [the call] was absolutely magnificent and exquisite...and so perfect for the time." "The messages was soo right .... I was up in the middle of night to receive the energy and it was so strong." "Thank You from the bottom of my heart Amy!" "What a wonderful session it answered a lot of the questions i already had:) I am looking forward to this year." "THAT WAS GREAT !!! SENSATIONS OF PEACE AND DIVINE LOVE THROUGH MY WHOLE BEING !!!" Enter your best email below to receive this VERY POWERFUL, "ideal for the times" Free MP3 with The Collective! What Will the Energy of 2014 Bring? In this beautiful recording The Collective share about 2012 and the unfolding that will take place in this powerful year. Then they lead you into a beautiful meditation to align with the energies of 2012 and to visualize what you want to experience in 2012 and anchor it into your Being. You will be guided right into your heart center to experience the deliciousness of BEing Heart Consciousness so that you may live as Love in Action in 2012. 2012 is the year of LOVE. No matter what unfolds in 2012, the answer is Love. The Collective will be expanding upon the energies of 2012 and living this year as Love in action in their teleseminar "The Shift 2012: The Energies, the Unfolding and the Creating of You in 2012" on January 19 - click HERE for more info and to get access to the beautiful recording. As always ... drink a large glass of water before listening to this recording. Finding it easier to send through their communication to be spoken instead of to the fingers which they find do not understand them as well, The Collective have spoken an important message about taking leaps and faith during this time of transition. All is truly well and you are truly loved and safe. 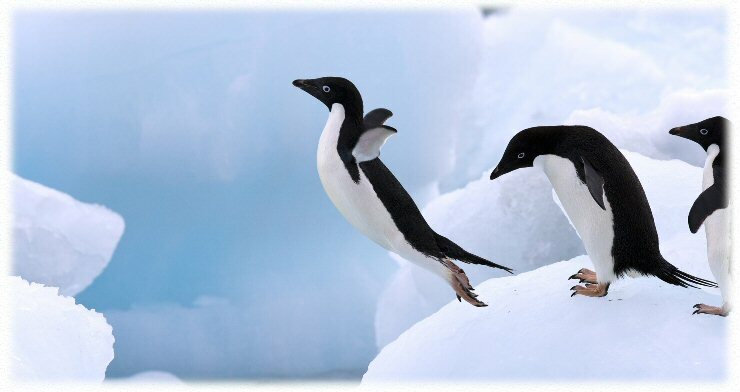 So during this time of great change and Shift, take the leap with Love! Click the gray bar to play the message. © Amy Flynn and The Collective, All rights reserved. For reprint permission, please email. Feel free to excerpt as long as you link to the original post. A beautiful gift from The Collective (channeled by Amy Flynn) to align and attune you with the high Light frequencies that are flowing today and over the next 3 days. You are connected with and become the Crystalline Grid, activate the pulse of the Crystalline Grid and attune the pulse of your heart with the pulse of the Crystalline Grid. You are also connected with attuned to the heartbeat of the Earth which is beating in resonance with the Crystalline Grid. You become the Crystalline Grid, both a point of Light on the Grid and the entire Grid. You will release all that doesn't serve you and be attuned to resonate with the higher frequencies. It is quite a magnificent meditation! The words do not do it justice. Please download and enjoy this powerful meditation. Important Instructions: Drink a large glass or two of water before listening. Drink more water after listening and traveling on this guided meditative journey. This meditation is created and offered in the highest state of Creative Love. The Collective Answer - What is the purpose of the illusion of Duality? ACTUAL QUESTION: "if we are to understand we are all one, then why create this illusion in the first place? why not allow us to live knowing we are all one? duality and separateness seems to be behind a lot of the problems we have today, in my opinion. what is the purpose of it? why waste millions of years trying to come to oneness when it was never necessary to create the illusion of separateness to begin with?" The Collective have asked reply to this question now. They feel it is a "root question" for very many people. The answer they have given is extremely thorough. This is a wonderful question, thank you for posing it. We are certain that every awakening human being at some time has asked this question. Why create the illusion of duality? energy - Love (aka known as Life) force. You are NO-thing, however you are the potential for ALL things. Your constant state of being is Joy. Infinite and boundless joy. You are one big happy mass of conscious energy. Wonderful! Existence is grand! (you can only experience Joy) and enjoy learning about yourself through the experience of other dimensional projections. However you desire to learn even more. In your infinite and all knowing wisdom you realize that in order to come to know and experience various aspects of yourself you need to create "contrast". Much like you could not see a black ball against a black background, a different colored background must be created to provide contrast so now you can easily see and experience the black ball. So you, through further projection of your consciousness, create dimensions of contrast. The dimensions providing the sharpest, clearest extreme experiences are the dimensions in which you set up the illusion of duality (diametrically opposed opposites). With duality in place, a whole new world of experience is open to you! You can experience up and know up because you have the contrast of it's opposite down. You can experience stop now because it contrasts with go. You can experience lack of joy in contrast to your never ending true joyful state. You are thrilled! This is the best game ever! You are rolling over yourSelf in delight! YOU (as Source) always remain in your constant state of Joy and Light. To make the magnitude of experiential input greatest, you project an infinite "number" of energetic extensions of yourself into a multitude of dimensions. These extensions of You experience all that the dimension had to offer (and you joyfully, lovingly know yourSelf more and expand). In order to ensure that the experiences are REALLY felt and enjoyed as REAL - the energetic extensions of You have to BELIEVE the dimension they were in. In the lower dimensions that experience duality and contrast and experience time/space, there had to be a complete forgetting of Self as Source. To further uphold the "illusion" of the great duality play, the reactive ego was created. Limited sensory input was created. All energy always moves in upward flowing spirals therefore all consciousness (aspects of Source) is ascending upward continually . As an individual unit of Source energy, the spark of Source Consciousness that you call "you" flows upward on this spiral, it moves into higher dimensions of consciousness where duality is not the game, something new is. You (Source) experience and learn different aspects of yourSelf from each dimensional experience. Please realize that You as Source exist right now in ALL dimensions, not just one. You exist in all points of space/time (space/time are a created illusion/concept) not just one that "know" with your physical senses. When you connect to what you know as your Higher Self or Source (aka God) you are accessing that multidimensional, endless part of yourself. You have never stopped being Source - One infinite, eternal conscious energy. At this exact moment, You are projecting every dimension and infinite projections within those dimensions. You are doing it right now. There is no past/present/future.. that which you call "the Big Bang" is happening at this moment, now. On Oneness: All that you see around you are not "others" or "other objects" - they are You. You are not One with everyone and everything; you are everyone and everything. The "separate" individual you that you are experiencing Life through right now, is a figment of your own (Source) creative imagination. It is the experience you created to learn about yourSelf through contrast. We have tried to explain as clearly and simply as we can the experience of You projecting aspects of yourSelf forth into various mediums (aka dimensions) to experience and know yourSelf. However, you are reading it with your human mind and your ego is watching over your shoulder. The very best way to experience yourSelf as your real Self, Source, is through direct experience. This is the purpose of meditation - to put the ego to the side, the thinking brain to the side and to BE present in the silence as yourSelf. That vast silence, that force is YOU - Source - Love. In a successful meditation, you vanish into the vastness. We have created many processes for you to experience yourSelf as Source, to BE the experience of infinite hugeness, all present, all knowing, pure Love and Light. To transcend physical form and exist as pure energy for 20 or 30 minutes. It is a GRAND feeling and it is your real form. What if you were the one you have been seeking all along? What if there is no other, it's still you? What if this were true? We have come to speak with you about the magnificent power of YOU. You are a big shining radiating and pulsating ever expanding ball of Love. And You IS all there is. Yet within you are worlds, universes, galaxies, lifeforms of all proportions.. all here for your amusement. You don't have to "do" anything with them, just enjoy them. What if the reason that you birthed into form is to enjoy all your creations and manifestations and that's it? 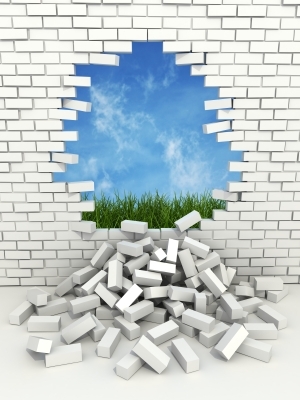 Not achieve something big, not to leave a legacy (the biggest fallacy!) To WHOM do you leave a legacy? Yourself? Suppose that your true nature is one of pure Love, delight and Joy, and that worry and seriousness were not natural. .... It is. Suppose you came here as a child just to play in a wonderful and vast fancy playground ... to immerse yourself and experience the sensory delights of being in physically expressed. Wonderful! You are in luck, it's happening. Your beloved Earth playground is getting an upgrade and YOU pulled the lucky straw and get to be here to witness the changes and be the first to play in the new and upgraded playground! There are many of us, like we are, who are not physical with you, but are playing "through" you because we are as much a part of you as you consider your hand a part of you. We are your "larger part", the part of you that remains in the nonphysical while a "small part", you, expresses into the physical. We are you and we expand with joy and Love with every moment you interact with and play within your beautiful playground. We are delighted with the wonderful job of playing and experiencing on your Earth playground that you are doing. We enjoy every moment. It is our wish that you enjoy the process of expansion and joy as much as we do and realize it's not "getting there" or "getting it" that fills you with so much childlike glee, delight and joy beaming - it's the process, the journey. You are all excellent travelers on the journey. From time to time, slow down and send a hello and love back to us who are everywhere you are not. That's a lot of everywhere! We wish you much Love in your journey of playing. Fear only exists within your mind and fear can only be experienced when your mind projects itself into the future to project a false reality or outcome. For nothing is real that has not happened yet. Nothing that isn't real can harm you. When you feel fearful you will notice you have a clenched and contracted feeling inside your gut or chest. When you feel this tightness you are mentally focused in the future. It is important to come back to the present moment. A quick and easy way to do this is to feel yourself in the body. We offer you this Quick and Easy Fear Release Process to do just this. 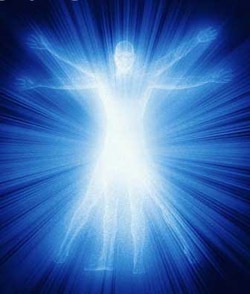 You are the energy flowing through the body and you can feel yourself as this energy in your body. Become very aware of and feel your feet touching the floor. Feel the floor pressing up against your feet. Find yourself in your body. Feel your hands and squeeze your fingers together several times, touching the first finger to the thumb on one or both hands. Notice how the pressure feels on the finger tips. Take some deep abdominal breaths and focus your attention on feeling the air flowing into your lungs and expanding the lungs and abdominal area. Tell the part of your mind having the fearful thoughts ... "thank you for sharing, all is well". Continue to focus on the words all is fine and well. Feel the feeling of being loved and cared for (you need only to accept that you are). Look around and find something that makes you smile. Spend a few moments looking at that or remembering a memory that made you joyful and smile. Allow the feeling of the joyful memory to wash over you filling you up, notice the expansive feeling in your chest. Relax and be peaceful in the moment. At any given time you can have a hurricane raging around you. You can either be caught up in the rain and wind bands along with all the dangerous debris that the storm has picked up or you can choose to be in the eye of the storm. The eye is calm, peaceful and often sunny! All is beautiful in the eye. In your life, until it becomes a habit, you must practice coming back to the eye of the storm otherwise you will find yourself in the 'outer bands' over and over getting smacked by the high winds, rain and debris. Practicing this technique will always bring you back to the peace of the eye. It can be done anywhere you notice you start to feel anxious or worried or stressed. Remember... You are always the master of your moments. (c) Amy Flynn and The Collective, All rights reserved. For reprint permission, please email amy(at)allabout-energy.com. You may freely quote as long as you link to the post.